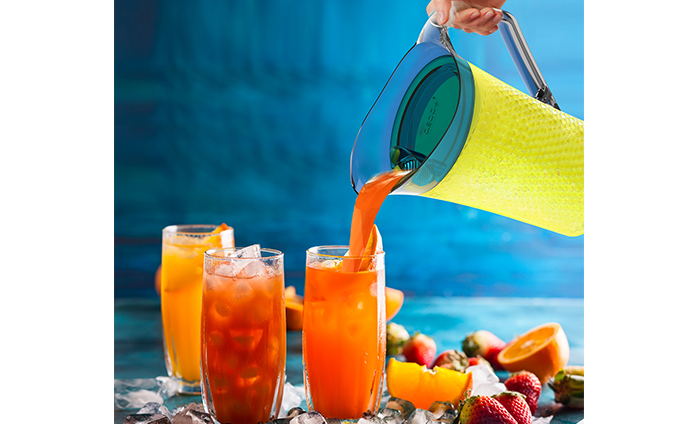 Place the Gel Pitcher in your freezer for approx 1 hour. 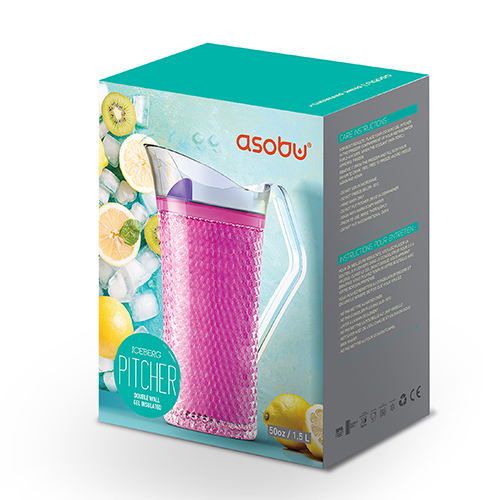 Not : Adding ice, will add chill time to the contents of the pitcher, the double wall insulation will keep on chilling the ice too! 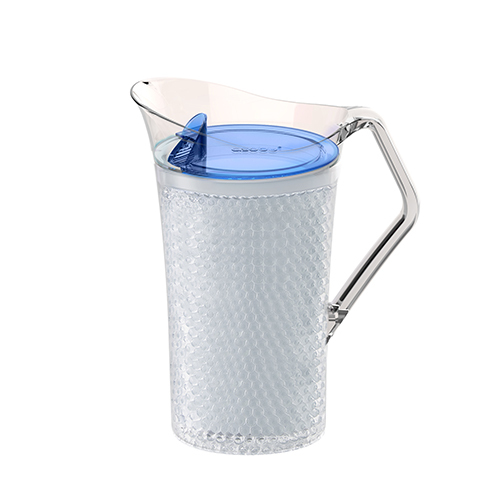 This food grade safe pitcher is equipped with a sifting pouring filter built into the lid, to prevent fruit from entering your drinking vessel if not preferred. 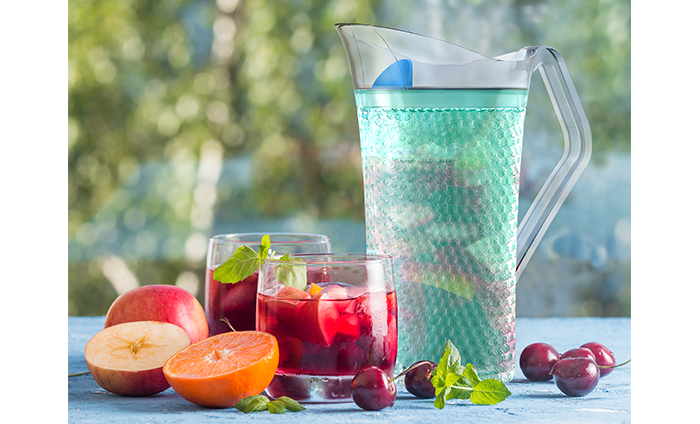 The Iceberg Pitcher is an excellent addition to any patio or poolside table. 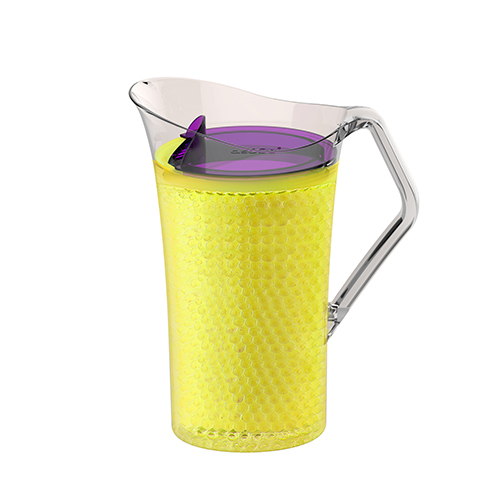 Available in bright summer colour tones and lid accents. The sturdy handle is shock resistant and the large access makes it easy to carry and pour when using. 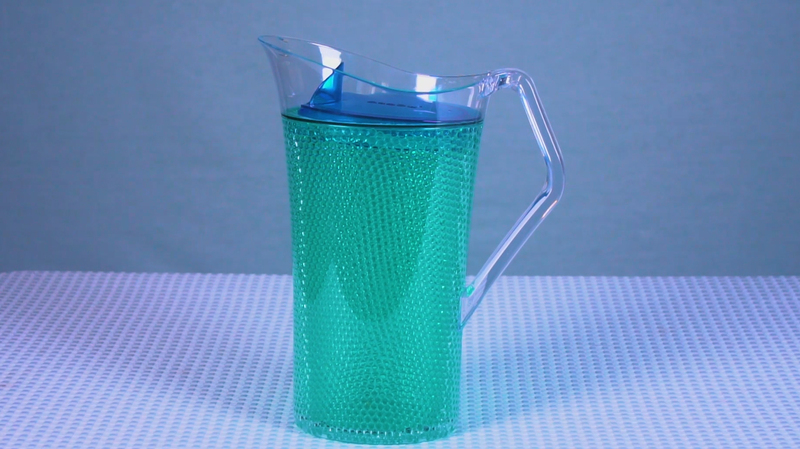 CARTON DIMENSION: 20" X 16.5" X 125"